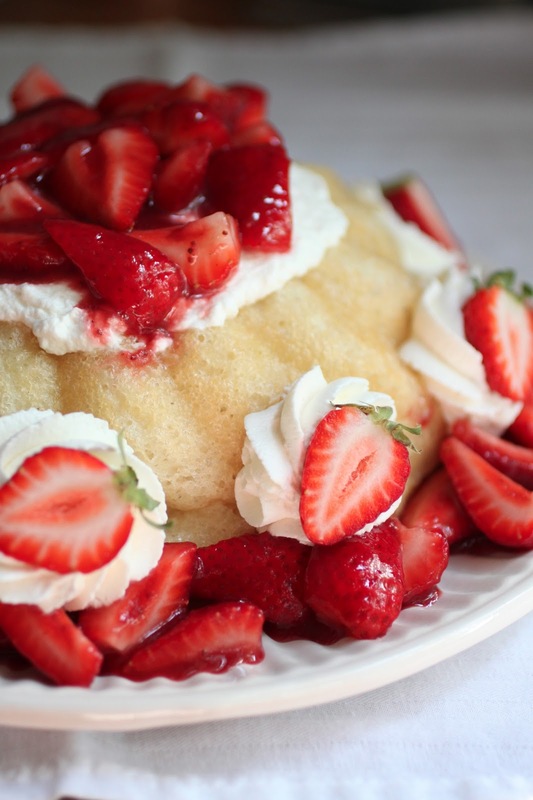 a while back, the tuesdays with dorie bakers made the savarin recipe. 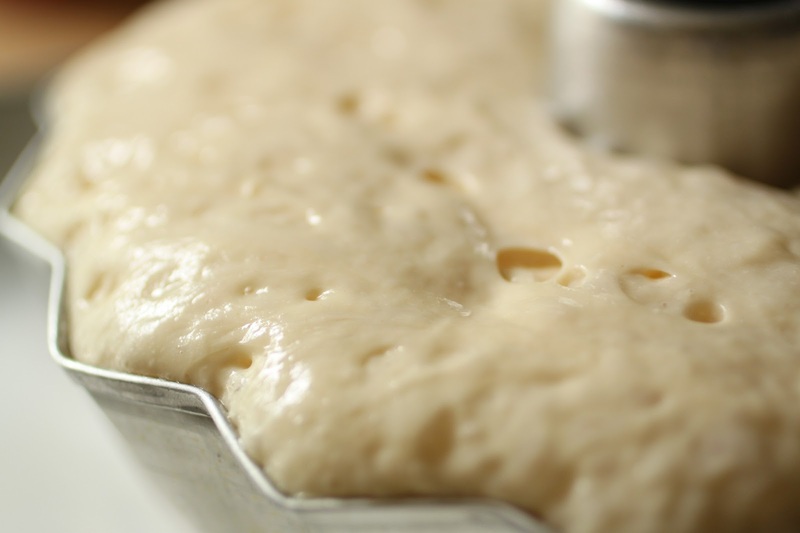 first we mixed up a batch of baba au rum dough. 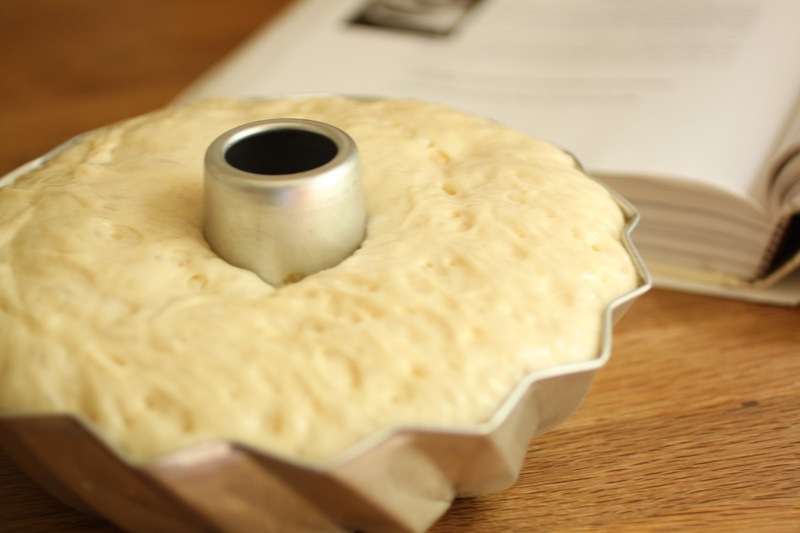 it was ridiculously easy to do-a simple yeasted cake batter was placed in a pan and allowed to rise for a brief period. look at how light and fluffy it is, and it rose so quickly too! it baked up fast as well. 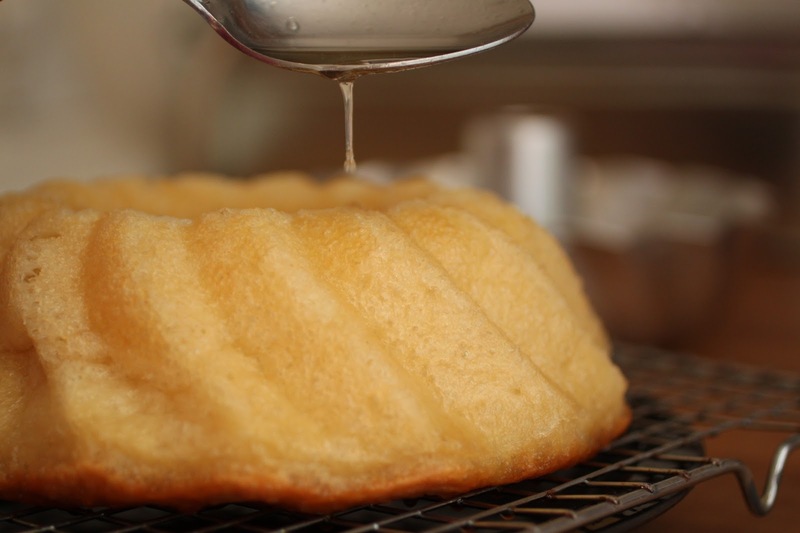 we made a simple syrup to soak the cake with. 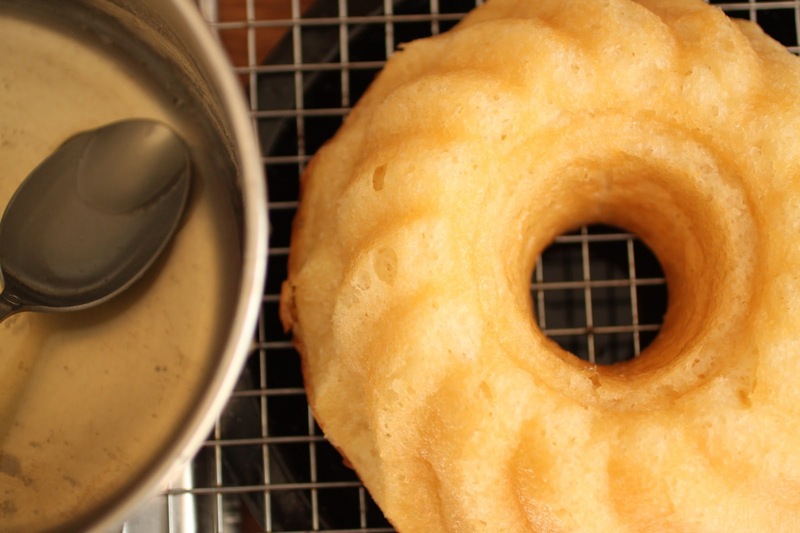 apparently, that is the key to an authentic savarin, lots of syrup soaked up by the cake. by spooning small amounts over the cake, it all gets absorbed. to decorate it, lots of whipped cream and fresh berries. a classic, a true classic. i brought it to a potluck dinner, i blinked, i missed it. all i got was the dirty plate. good thing they are easy to make, if i want to try this one myself, i will have to make it again. and when i do, i’m not sharing…to see what the other bakers came up with, check out the tuesdays with dorie page. That is really lovely – I can see why the plate was emptied so quickly!